Identity fraud has made a comeback, reports a recent survey by Javelin Strategy & Research, striking an estimated 11.6 million Americans in 2011 compared with 10.2 million in 2010: an increase of 13%. 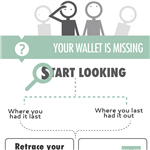 With the dangers of credit and debit card fraud, we've decided to put together this infographic to help our readers fight back. Keep Your Social Security Card Safe - Don't carry your Social Security card in your wallet, and only reveal the number when necessary. Shred Documents - Dumpster-diving may not be glamourous or high-tech, but it's an effective method for collecting sensitive information. Shred financial and other documents that contain personal data. Say No to Spam - Don't open unsolicited emails or their attachments. Use Strong Passwords - Avoid passwords that consist of common identifying names and numbers such as your pet's name, spouse's name, home address, etc. Check Your Credit Report - Review your credit reports and financial statements for suspicious activity, as well as charges that you didn't make. Report your theft to the FTC. Place a fraud alert on your credit reports with the credit bureaus, and review your credit reports ASAP. Close accounts that have been tampered with or created fraudulently. If you are a victim, or have a nagging suspicion, you can also contact the entity that issued your personal ID or sold you services (such as the Social Security Administration or utility company, for example). For more detailed information on what to do if your identity is stolen, visit the FTC’s website on identity theft. 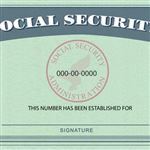 158 million Social Security numbers were stolen in one year. That was a result of 1,579 data breaches. These occurrences cost companies as much as $225 per record stolen and individuals a lifetime of headaches and financial troubles. LifeLock protects you against identity theft. Does it successfully do the job? Learn how it works, the pros and cons, and if LifeLock is worth it. 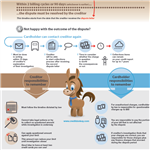 The power lies with consumers to stop identify theft, according to the results of a recent CreditDonkey.com survey. Two-thirds of consumers who have had fraudulent charges were the first to notice them – not their financial institution. Women are more likely to be worried about credit card fraud then men, according to a new CreditDonkey.com survey. More than half (57.6%) of female respondents worry about credit fraud while less than half of males (48.2%) are concerned about it. Leave a comment about Identity Theft Protection: Protect Your Good Name? Share on Facebook "Identity Theft Protection: Protect Your Good Name"